Discrimination claims and threats have become a basic and frightening part of the modern business landscape. In our increasing litigious environment, it’s not a matter of if you will be sued, it’s only a matter of when. Although Arizona follows the “at will doctrine” (which allows an employee to be fired for just about any reason), businesses are at risk when it comes to workplace discrimination. Think You’re a Fair Boss? Ex-Employees Might Not Agree! Discrimination claims can arise if an employee thinks people are treated differently based on physical appearance and background. Even if you consider yourself a fair boss, some employees might not agree, particularly if they think discrimination is behind any discipline, probation, or job loss. It might seem reasonable to take action against poor job performance, but what do you do when that employee claims he or she was fired because of ethnicity? Regardless of the real reason, you are now facing discrimination charges that must be taken seriously. 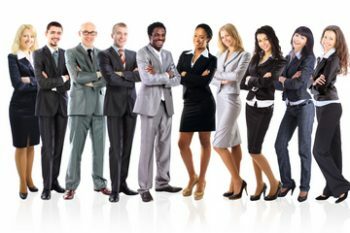 If an employee can prove that employees of a different race or background were treated more or less favorably than others, that employee may have a discrimination claim. He or she can recover lost wages, compensatory damages, punitive damages, and attorneys’ fees and costs. Title VII also lets successful litigants to get compensation for emotional pain, mental anguish, loss of enjoyment of life, inconvenience, and other non-economic losses. How an employer initially responds to a discrimination claim is very important and can affect the ultimate outcome of the case. Don’t be the employer that makes the mistake of ignoring the claim, or worse, acting impulsively by giving the employee “a piece of your mind” which can come back to haunt you. An employer’s best defense to respond to any employee complaints, including discrimination claims, is to thoroughly investigate it and attempt to resolve it before it escalates into an agency investigation or litigation. Employers who are well-prepared to handle employee complaints and claims often have the best outcomes. This means consulting with an experienced employment attorney early in the process or even before a problem arises as you create employee guidelines. Contact my office if you find yourself facing discrimination claims or want to review the anti-discrimination plan at your business.